Trees are not just a key component to the ecosystem; they are an essential part of our life experience. From majestic individual trees that have historic significance or that are simply beautiful, to a quiet grove of greenery we seek for solitude, trees enrich our life experience simply by just being there. Despite all these qualities, its maintenance calls for time and efforts which some homeowners do not have. We’re here to help. Amazing Tree Services has been a professional tree service company for many years, satisfying many returning clients. One of the main reasons why homeowners opt for tree service providers is to ensure a good state of health for their trees. Of course, like humans, trees can also experience diseases as a result of unfavorable weather conditions as well as viruses. This could cause a defect and bring changes in the look and health of your tree. However, getting a tree professional for tree services in Morris county NJ involved can prevent such issue immediately. We at Amazing Tree Services can also be called upon when tree trimming is required. When heavy rain drops, plants spring forth leaves excessively and in turn increase the likelihood of cutting off the leaves. What you as a home owner need to do is to request for a tree service. The type of tree services needed in this circumstance is known as tree trimming. This service brings about two enhancements in the growth of a tree. It also keeps the tree alive and makes it look more attractive. This service also makes sure growth is enhanced in a tree. In areas where there are huge plantations such as forests, tree trimming is done through the use of machines. This is a seamless and modern way of beautifying a tree using electronic power. 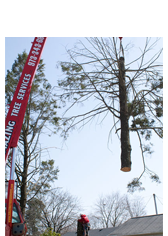 One aspect of tree service that requires a lot of knowledge and skill is the Tree removal. Sometimes, a tree may appear dangerous to people or buildings around; calling anybody to cut the tree down may cause more hazard or chaos in the neighborhood; but a tree service provider such as us will have the experience and skills it takes to remove and make the environment safe for living. Some homeowners do not have sufficient knowledge in maintaining trees. This is why opting for the services of experts is important. Our experts would provide you with amazing features which include a proper cleanup, putting through the chipper where it is ground up and all the wood chips, twigs, picking up the debris and make the whole area clean and attractive. This is to tell you that, maintaining any type of tree can be easier and more efficient. There is no alternative to living in a scenic environment of your dream without working closely with tree services experts. To learn more about tree services in Morris county NJ or about us at Amazing Tree Services, call today at 973-343-6868. One of our tree experts will be ready to help you. A tree can either be a plus point or liability for your property. Sometimes the process of repairing a damaged or diseased tree may be too difficult a task, and when a professional assessment uncovers a potential issue with a tree, tree removal may become pertinent. Trees, often reach a point of no repair owing to the weakness of the tree, which can cause it to become a liability or as a result f diseases. As a property owner, you should make it a goal to remain vigilant especially regarding the health of your trees. Weak or diseased trees are susceptible to falling or breaking, and the situation can be exacerbated by adverse weather conditions. In Bergen county, we have so many beautiful trees that add to the scenery. But that also poses a greater risk because more can go wrong with them. We at Amazing Tree Services understand all the issues that may call for the need to remove a tree in Bergen county. 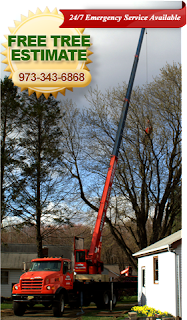 For many years we have been providing the service of tree removal in Bergen county, NJ so you don’t have to take on the risks associated with removing a tree. If you are relatively new to the process of tree health and tree removal, you should seek the assistance of a certified arborist that can examine your lawn and property to give you a complete assessment of the risks that you may be facing as well as consult with you to find an appropriate course of action. The solution to your problem might include trimming or pruning the tree in order to get rid of the unsightly or dangerous branches. When a tree is not weak, or diseased, pruning, and trimming can also restore a damaged or diseased tree to rehabilitated health. DIY tree trimming costs may be low, especially if the process only requires light trimming of a small tree. However, when it comes to the actual amputation of the tree or the trimming of a large tree, the task is best left to a skilled professional. Tree trimming and removal of large trees can be dangerous, which can explain why professional companies often charge relatively high prices for tree removal. All trees, even the small ones, have a possible degree of unpredictability when it comes to pruning or removal. The type of tree, its angle of growth, as well as the extent of damage, are all factors that need to be assessed by a professional and taken into consideration before a decision can be made on the best way to move forward. Tree removal often requires specialized equipment to remove safely and efficiently. Our experts at Amazing Tree Services also have the skill to remove trees with their equipment in a manner that is least harmful to the landscape. In some cases, the stump that is left may need to be ground down to below ground level so as to maintain the general aesthetic of the landscape. Amazing Tree Provides Tree Removal In The Following Towns: Bergenfield, Ridgewood, Paramus, New Milford, and many more! For more information about our tree removal services in Bergen County NJ, please call us today at 973-343-6868. A Tree service expert will be happy to speak to you. Are you surrounded by trees? Do you want to get rid of those trees that are disrupting the exteriors of your beautiful house? Would you do anything to save the tree that has always been enhancing the look of your office? Then you need to search for great tree services in your area. There are several companies that proudly provide customers with tree care and removal services. All you need to do is pick up the right one from the lot. But that is exactly what’s so difficult. Here at Amazing Tree Services we’d like to offer some tips on how to select a reputable company like outs that provides tree services in NJ. · Check the experience of different companies; prefer the one with maximum experience in the field: You always need to check for those tree service companies that have maximum experience in the industry. Unless you want to give a chance to a novice company, you can’t trust the name that has absolutely no reviews in the market. 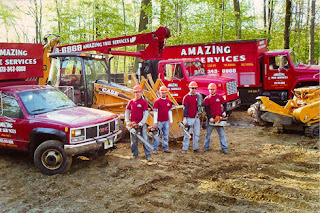 We at Amazing Tree Services have been trimming, cutting, and more for many years. · Find out what you require and learn which companies provide customers with those services: This is the most important thing that you need to look for while choosing tree service companies – the list of services that they are into. Compare the list with your needs and requirements and find out which company is ready to do the quality job for you. · Learn about the team that’s going to visit you for your tree care or removal needs: The company that you are planning to hire may have a large team, but that doesn’t mean you can’t learn about it. This is where the website of the service company comes handy. Visit the website and find out how trustworthy the team of the company is. You can also use search engines to learn about the experience of different customers. · Check the experience of the people working under the roofs of the tree service company you are thinking of hiring: Again, you can take the help of the website to know how experienced and talented the team of a specific company is. You need to search for a company that has well-skilled individuals working under its name. · Ensure that the services of the company are affordable for you: While searching for a tree service company, you need to keep your budget in mind. No doubt you badly want that tree to be taken care of or you badly want that tree to be removed from your property, but unless you can afford the services of a specific tree service company, there is no way to hire it for your needs. To learn more about our tree services in NJ or to learn more about us at Amazing Tree Services call us today at 973-343-6868.